First in a stunning new trilogy by New York Times bestselling author Teresa Mummert. 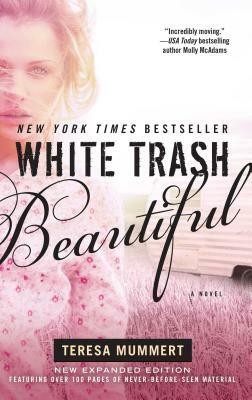 A word-of-mouth bestseller that’s captivating readers with its honesty, grit, and headstrong heroine, White Trash Beautiful is a story for anyone who has ever felt trapped in life, cheated by love—and longed for something more . . .
"You feel all [Cass’s] emotions to the point where you're connecting with her so much, you feel like you are her." "Fans of the rock star genre will want to give this one a go, as this Prince Charming is a hot, tattooed musician… [I]n this story readers will meander through the dark and dangerous tunnel of Cass’ life and subsequently cheer her on when she comes out the other side." "This story is filled with heartache and hope. Heartache for circumstance and life in general, but hope for a future." "It was such a dark story filled with a ton of angst and brief glimpses of light through a romance of hope and love." "I could not put it down. I had to know what was going to happen next." "If you are looking for a story that will keep you on the edge and take you for an emotional ride, then White Trash Beautiful is for you. Hopeless romantics beware. Keep your tissues nearby." "I would put this in the same category as other great angst-filled and passionate New Adult Romances, such as The Sea of Tranquility by Katja Millay, Hopeless by Colleen Hoover, and The Coincidence of Callie and Kayden by Jessica Sorenson! Read this book! It is a deep, thought provoking, story of substance, that will stay with you long after the last page has been read!"